Click on File tab on the upper left of the window. Click on Options at the lower left of the menu. Navigate to the "Save" tab under Word Options. Click "Browse" next to Default local file location, and navigate to the desired directory for saving files. 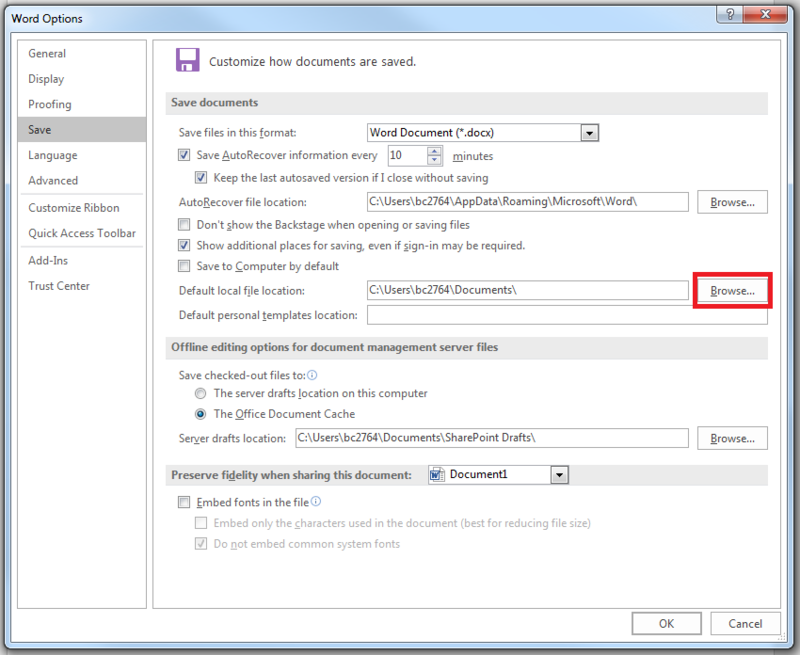 Important: If you have a personal H: drive then it is highly recommended that you use this drive for the default save location.